Internet service providers can be ordered to block websites that offer counterfeit goods for sale despite the lack of an express law to that effect in trademark cases, the UK Court of Appeal for England and Wales said in a 6 July decision. The judgment, which is still being digested by the IP community, is available here. 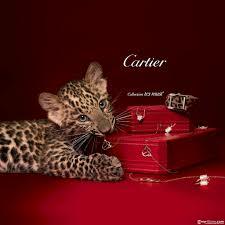 The case, Cartier International AG et al. v. British Sky Broadcasting Limited et al. and the Open Rights Group, involves appeals by five ISPs – Sky, BT, EE, TalkTalk and Virgin – against orders made on 11 November and 5 December 2014 requiring them to block or attempt to block access by their customers to certain websites that were advertising and selling bogus copies of the trademark owners’ goods, the court said. In its 17 October 2014 decision, the High Court of Justice of England and Wales found that, despite the lack of a statute akin to Section 97A of the Copyright Designs and Patent Act 1988 which specifically envisages copyright injunctions against intermediaries, it had jurisdiction to make the order sought by the trademark owners and that it was appropriate to do so, the court said in its 6 July judgment. The earlier decision also held that the ISPs should bear the costs for blocking the infringing sites. The ISPs appealed, alleging among other things that they are wholly innocent parties and are not alleged to be wrongdoers; and that the court had no jurisdiction to make the blocking order and the orders were disproportionate based on the evidence. The high court, however, fully upheld the earlier decision. A preliminary analysis of the decision, by University of Southampton IP Law Lecturer Eleonora Rosati, is available on the IPKat blog website. "UK High Court Upholds Blocking Of Infringing Websites In Trademark Cases" by Intellectual Property Watch is licensed under a Creative Commons Attribution-NonCommercial-ShareAlike 4.0 International License.